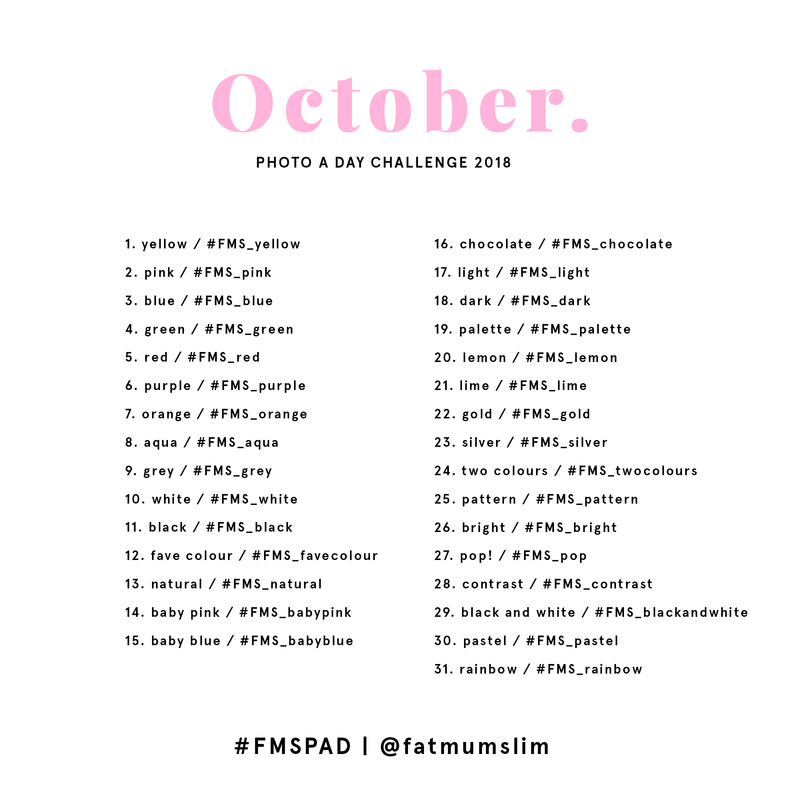 I have to say September was by far the most difficult month for me with this challenge. There were quite a few words that I would get stuck on for days. I am just hoping it was a temporary funk. I have been doing this challenge for 5 years now and I would hate for the inspiration to be waning! The list for October clearly has a theme and I am bummed that the 31st doesn’t have to do with Halloween. The creator of this list isn’t from America so that probably has something to do with it. Not sure how popular Halloween is in other parts of the world. 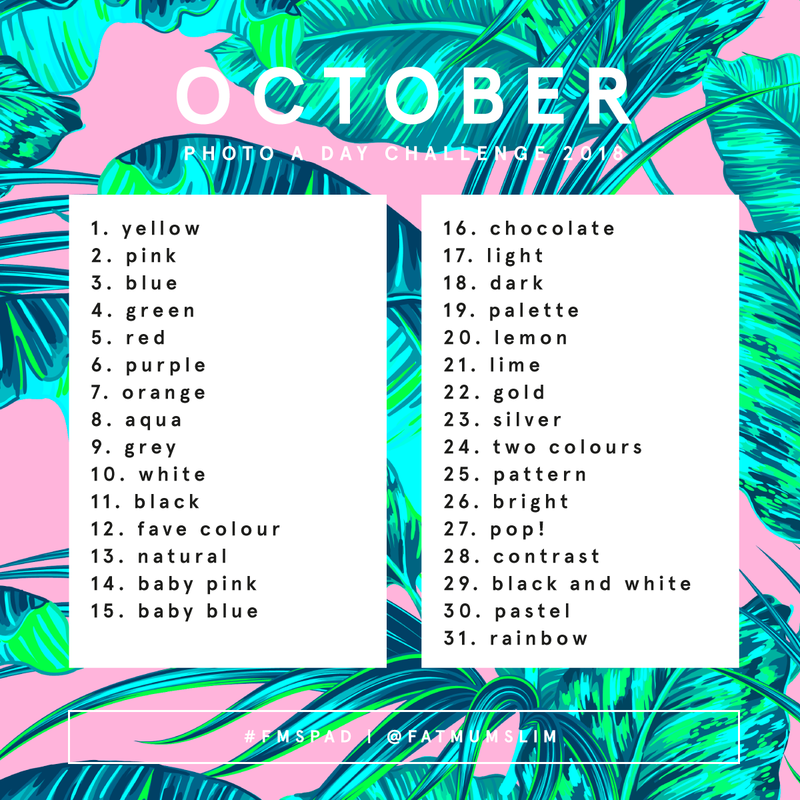 In this post you will find the challenge list, some ideas for each day’s prompt and then the list with it’s corresponding hashtags so you can use those on Instagram, Facebook, & Twitter if you would like. If you need a refresher on how to play/where to post your pictures click here. If you would like to see my pictures from September you can find them in my September Photo A Day album. Happy picture taking!! Take a photo of something yellow! Take a photo of something pink! Take a photo of something blue! Take a photo of something green! Take a photo of something red! Take a photo of something purple! Take a photo of something orange! Take a photo of something aqua! Take a photo of something grey! Take a photo of something white! Take a photo of something black! What’s your favorite color? Take a photo of it! Think natural tones, earthy colors like beige and tones of brown and green might work here. Take a photo of something baby pink! Take a photo of something baby blue! Is this an excuse to eat chocolate? Perhaps! Take a photo of something chocolate in color, or taste! Take a photo of something light! Or a light! Take a photo of something dark! You could take a dark and moody photo. A palette is a range of colors, just like on an artist’s board or even an eyeshadow kit. Lemon are beautiful and yellow. Take a photo of something yellow in color, or be literal and take a photo of a lemon. Just like yesterday’s lemon prompt, this time go lime… lime green, lime fruit. You choose! Take a photo of something gold! Take a photo of something silver! Take a photo of two colors! You could use two photos that are your faves, or that compliment each other. Take a photo of a pattern. Look around for patterns – like a zebra crossing, bricks on a building… so many patterns. Look for bright colors, and take a photo. A pop of color! Take a photo of a pop of color in your day. Contrast is the difference between two things. For example with a black and white photo, you’d want to really show off the difference in the whites and black. A contrast can also be the difference in two things; sharp and soft, hot and cold, etc. Take a photo of something black and white or use a black and white filter. Take a photo of something pastel in color. Pastel is a color that is soft and delicate. Show of the colors of the rainbow in your photo.